Serve breakfas and tea in a funky nautical style with this set of 2 boat trays. In 2 assorted sizes, great for adding a fun element to your home. 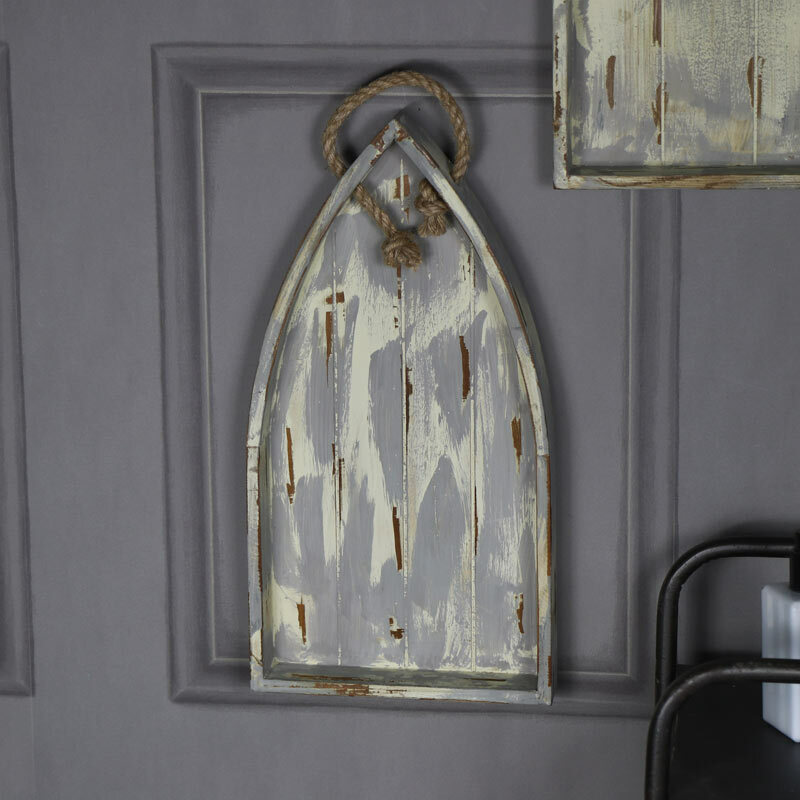 Both trays are finished in a rustic, weathered look that gives the appearance of age. These will be great for creating a coastal, seaside theme as well as adding some quirky style. 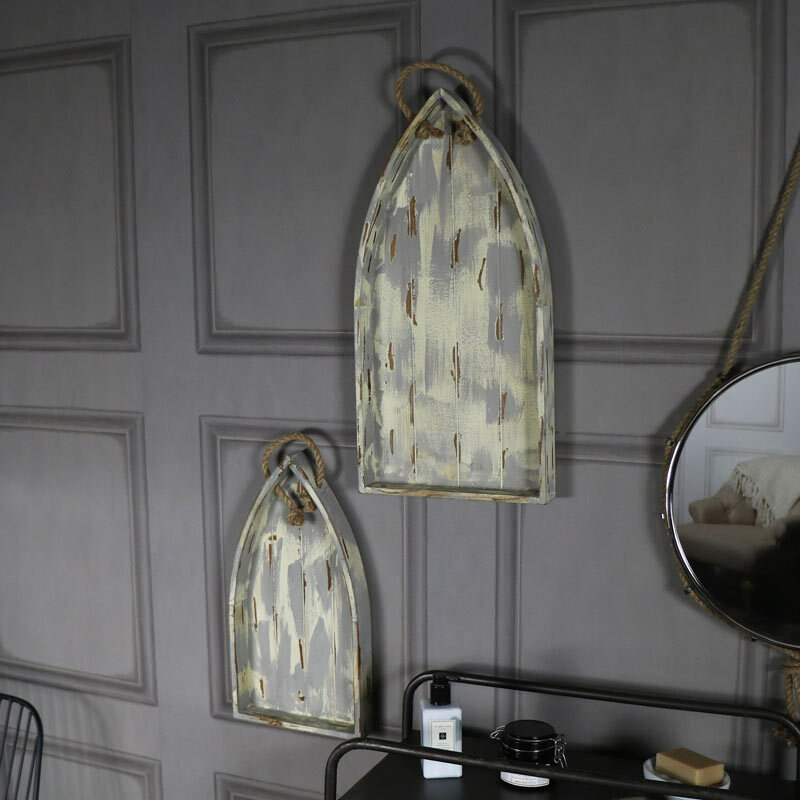 Both practical and versatile, these can be used as trays or would also make an interesting piece of wall art hung from the rope hanger. Serve breakfas and tea in a funky nautical style with this set of 2 boat trays. In 2 assorted sizes, great for adding a fun element to your home. 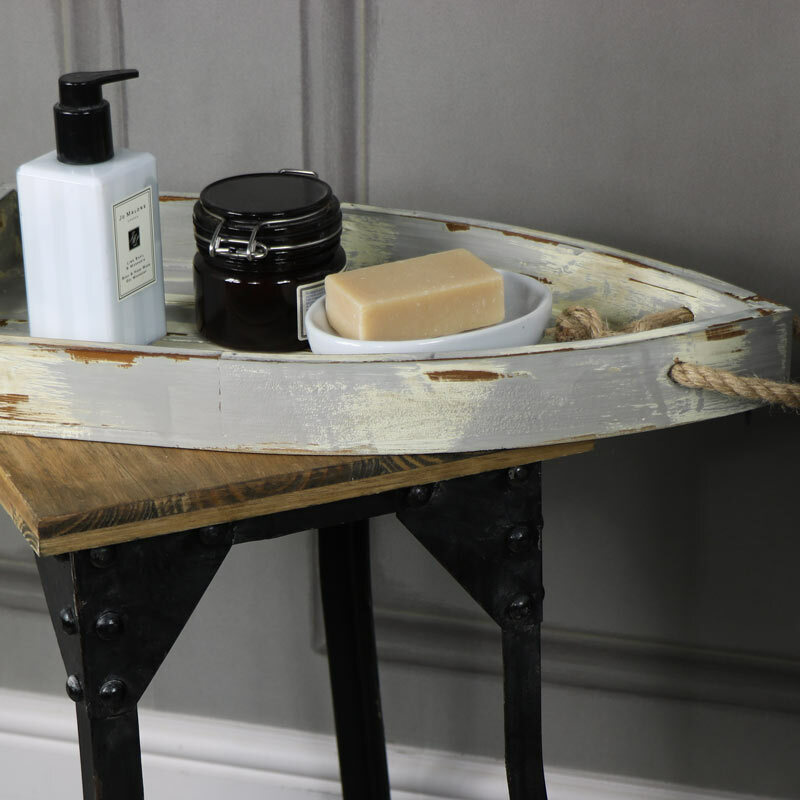 Both trays are finished in a rustic, weathered look that gives the appearance of age. These will be great for creating a coastal, seaside theme as well as adding some quirky style. 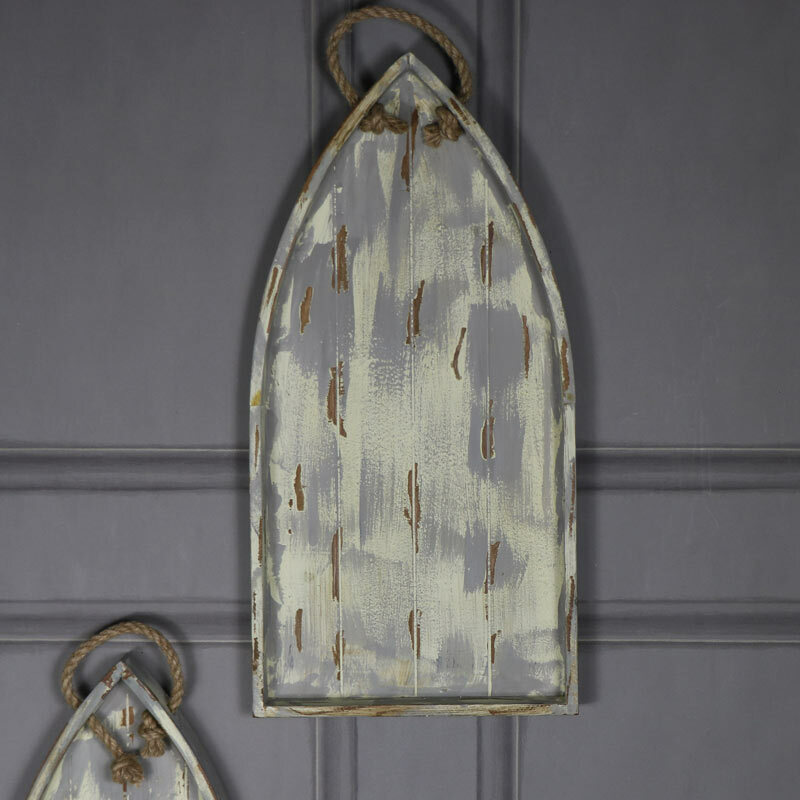 Both practical and versatile, these can be used as trays or would also make an interesting piece of wall art hung from the rope hanger. 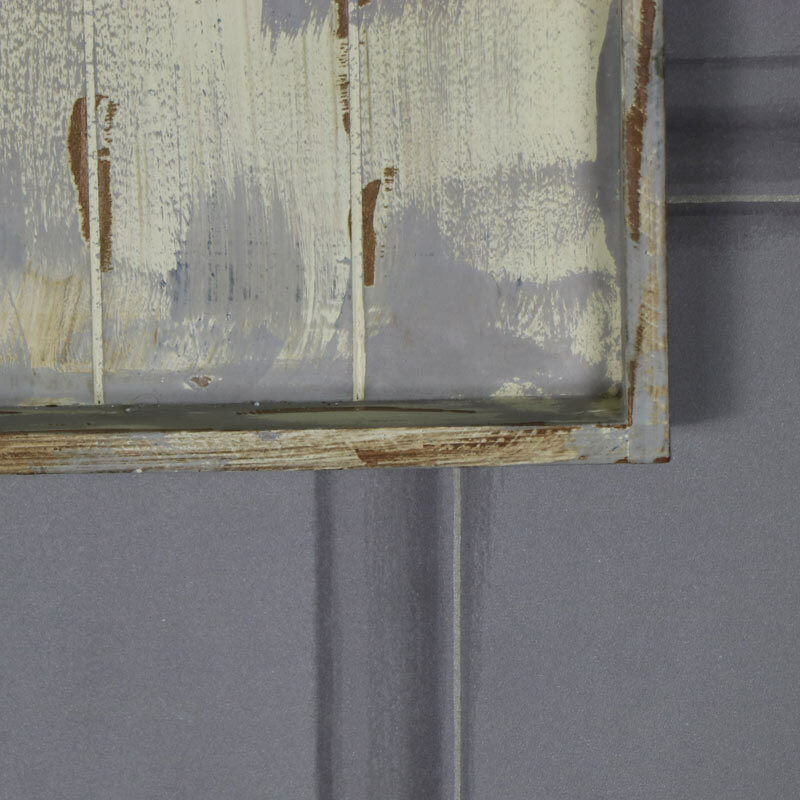 Made from wood and painted in a white and grey finish then sanded down to give a weathered, distressed look. A great gift idea for use as homeware or wall art. These trays are also available to purchase separately.